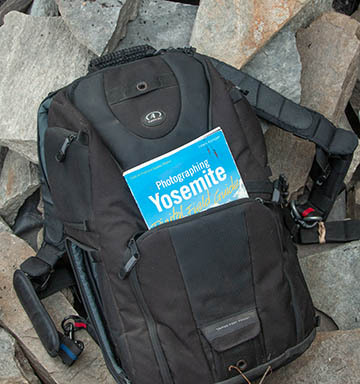 You're looking for a good travel photography book on Yosemite before you go. Smart move! You need a few tips on photographing the best spots in Yosemite National Park and a book you can carry with you. I wanted one too and you'll be glad you get one ahead of time. This post will help you find the best one. The best travel photography book on Yosemite, at the time I took my trip there in 2011, was Photographing Yosemite by Lewis Kamper. It's still is an excellent book because the opportunities for you to capture these amazing photos for the locations are still the same. You aren't staying there for an extended time and you won't have a lot of time to just wander around and look for great locations. 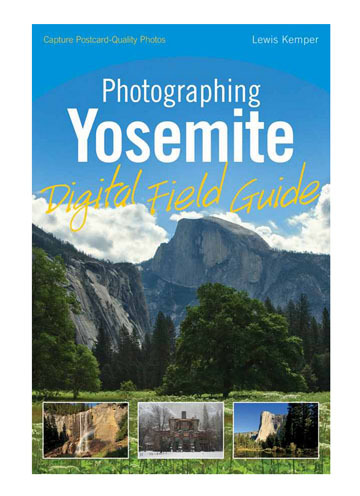 This book is a great shortcut for you to plan what specific spots you're going to photograph during your travels to Yosemite. I also had very a limited time available during my visit to photograph as much as I wanted. 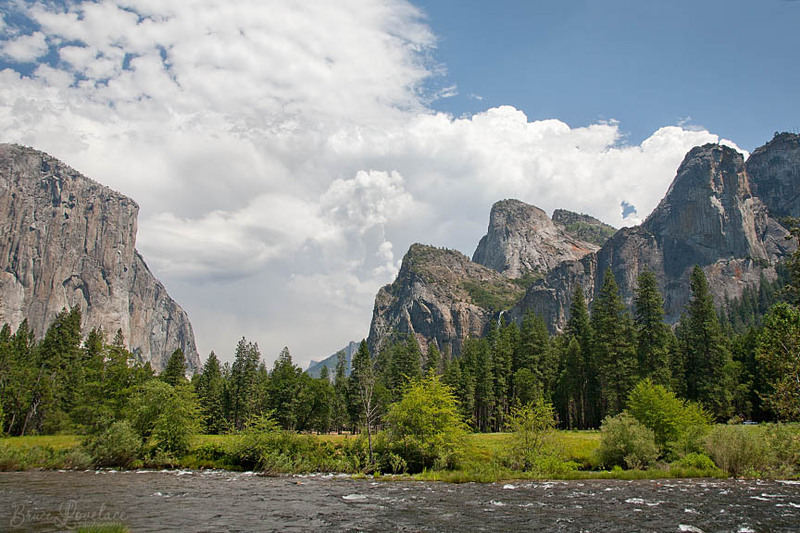 This was the perfect guide to get great photos of Yosemite National Park photos during my visit. I needed a guide that would give me some good tips on photographing the main attractions during my way-too-brief visit. This book was quite helpful to browse through before my trip and was a nice size to carry along with me. The best component of this book for me was the "Where Can I Get the Best Shot" feature for each of the 29 photo opportunity subjects that the book covered. Each of these 29 locations was covered separately and each had a map to show the location of the subject as well as the best vantage points to photograph it. The author of "Photographing Yosemite," Lewis Kemper, has been photographing North America and its parks for over 30 years. I did my usual hours and hours of research on Travel Photography Books on Amazon and this book was the easy choice at the time. 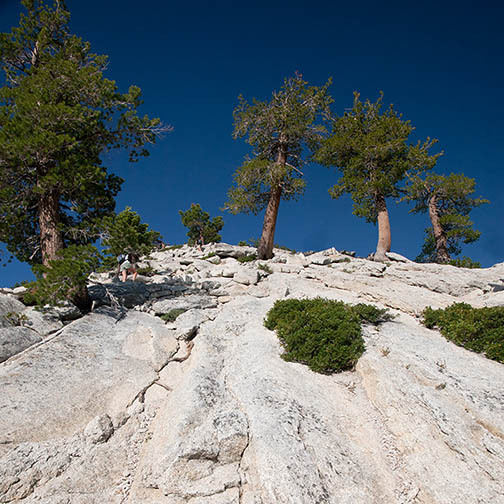 Now there is a great new book about photographing Yosemite, but more about that in a minute. 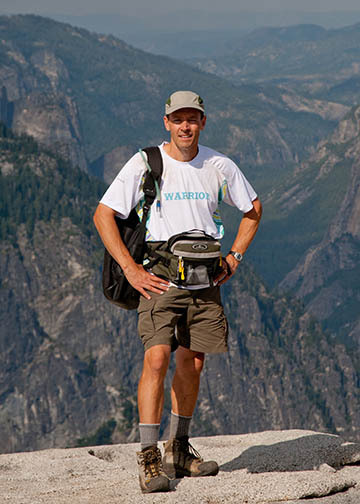 The highlight of the trip to Yosemite National Park was the 13 mile hike to the top of Half Dome. We viewed this magnificent icon from afar and then took on the challenge of hiking to the summit the following day. There's no doubt that you're going to have plenty of photo ops besides the ones shown in a book. The two of these photos happen to have been taken from locations that were not specified in the book, but were from the vantage point of the specific trails we hiked. 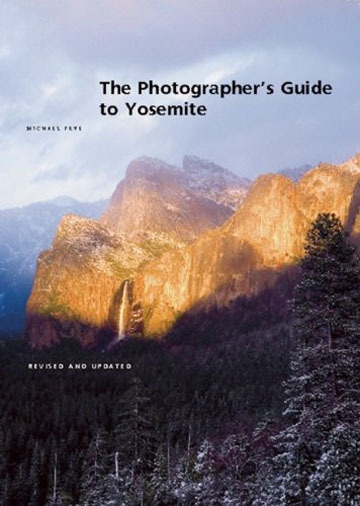 The Photographer's Guide to Yosemite by Michael Frye is a revised, updated remake of a book written by Michael in 2000. The earlier version was written in the days of shooting film. Michael Frye has lived in or near Yosemite National Park for over 30 years and his knowledge of this photographic treasure is extremely extensive. 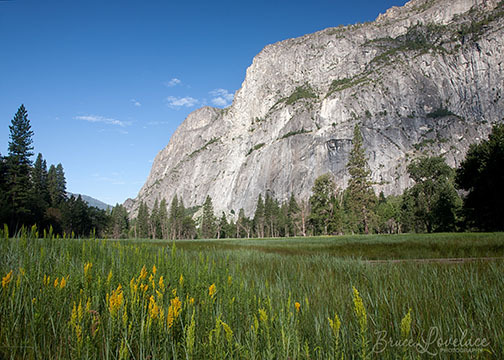 His Yosemite photos are spectacular and you can visit his website and gawk at more: ww.michaelfrye.com/. This version of the book gives tips on photographing 40 different locations and the index includes sunrise and sunset times in an easy to read table. You can also get those times with an app on your cell phone, but it's convenient to have them in printed form included in the book. 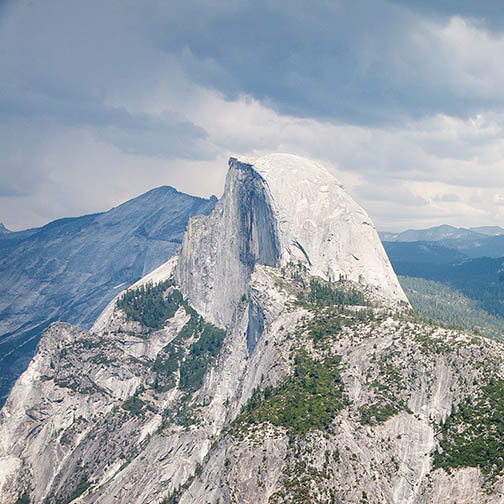 One of the revealing points in the book is that July-September are really the worst months to photograph Yosemite. The waterfalls are usually barely flowing, it's crowded full of people and it's hot and hazy. Probably what I like most about the book is how Michael takes advantage of the unique lighting that Yosemite's sometimes volatile weather produces. The book has earned almost all 4 and 5 star ratings. There are a few complaints about the book related to the printing and binding, but not much against the content itself. To only get 4 and 5 star ratings and still have a few issues with the quality of the binding is pretty remarkable. If you do buy this book, test the binding quality immediately upon arrival and return it if you got a bad copy. The Photographer's guide to Yosemite by Michael Frye has detailed maps, best time of day and best time of year information covering over 35 photographer's desirable photographic locations. Both of these books are great for the Yosemite beginner and the repeat visitor. The park is so immense with so many photo opportunities. These books give you the specifics, almost in a paint by numbers format, to get the photos you want in a shorter amount of time. On my own bucket list is to return to the park at several different times of the year with more than just a few days to photograph this photographer's delight. 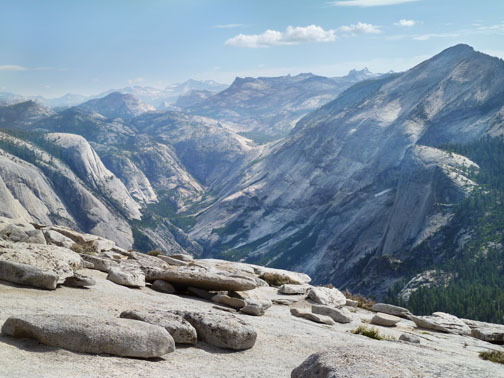 Despite the eternal characteristics of the mountains and the rocks, Yosemite is a constantly changing landscape, due to different lighting and weather conditions. It alters our perceptions and our photographs can show the changes at different times and days throughout the year. A good photography guide book is the best digital camera accessory you can get before you take a trip to a vacation spot for the first time. I knew that my time was very limited so I had to focus on the main attractions and shoot them in an efficient way. A good part of the reason I chose to become a photographer was my fascination with the photos of Yosemite taken by Ansel Adams. My mother gave me Ansel's autobiography as a young boy and I got hooked on this special place even without visiting it first. I chose portrait photography as my specialty rather than nature photography for my career, but I have an equal passion for making photographs of the natural world as well. Whatever travel photography book on Yosemite you choose to get, ask yourself, should I wait any longer to take my trip? Whether you only travel there through the captured images in a good travel photography book or go in person, just do it! Have a blast!